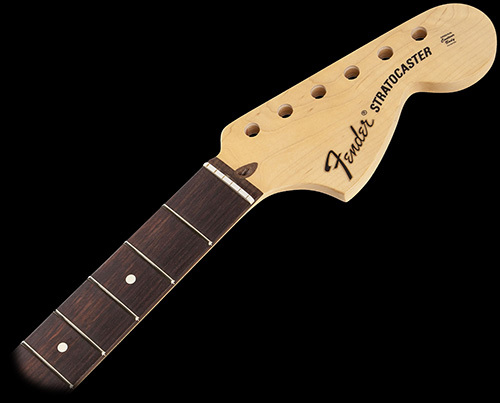 70's Style Headstock, 22 Jumbo Frets, Rosewood Fingerboard, 9.5" Radius. 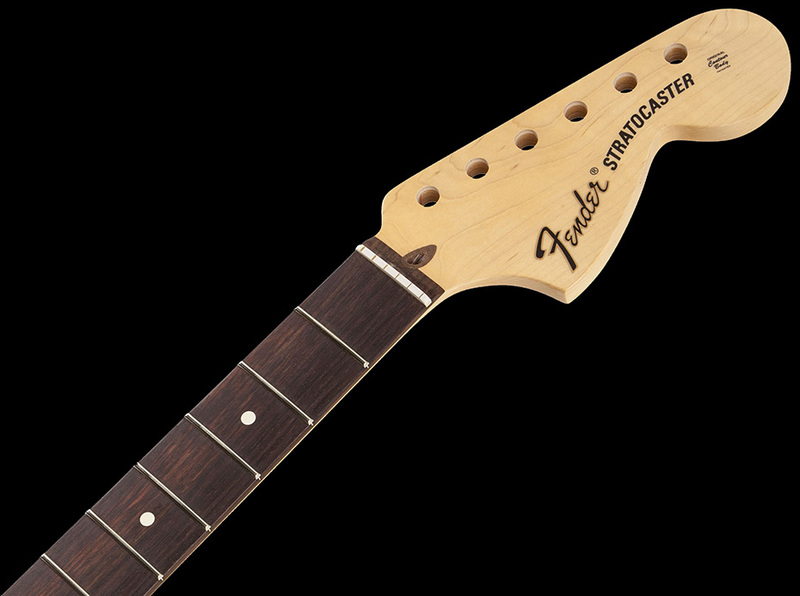 Genuine U.S.-made Fender Stratocaster® guitar maple neck features a comfortable “modern C” profile and 9.5” radius rosewood fingerboard with 22 jumbo frets and rolled edges, large ’70s-style headstock and pre-slotted synthetic bone nut. Satin urethane finish for smooth feel.. String tree is not included and its mounting hole will need to be drilled.